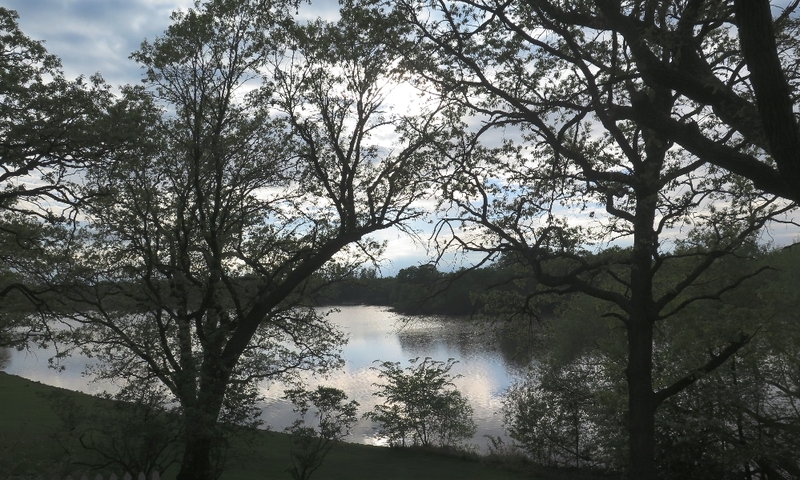 I just returned from a three-day retreat through Reggie’s Coaching Academy, away from my daily life, along with like-minded women in the sacred quietude on a lake in Minnesota. Spring was in full bloom with gorgeously green grass, fabulously fresh air, and the feeling that I had found exactly what I’d been looking for: PEACE. This was the perfect place to unwind, rest, and open up to new possibilities. Through Healing Touch sessions, yoga, meditation, afternoon walks, yummy meals, evenings around the fire pit, and creative art projects, I was able to sink into relaxation and become aware of just how much I’d been holding on. In this special space surrounded by peace I was able to be truly vulnerable, authentic and I felt the permission to let go. I felt the peace almost immediately upon arriving. I had cleared my calendar, made the travel plans, and prepared my family and friends for me to be out of town for a few days. I had mentally prepared myself for a relaxing time, but hadn’t realized just how much I had been aching for, and needing more, than that. I felt peace when I lay in the hammock listening to the wild geese and the cries of the loon. I felt peace when I sat by the fire pit and watched the multitude of colors paint Lake Winona with the setting sun. In this place of peace I realized how I could be alright not knowing the schedule, not caring what time we would be eating or what we would be doing next. In this place of peace, when we were asked to be creative, with paints and art supplies (an area I am not confident in) I allowed myself the freedom to play, and not worry about the outcome. I used the peace to replace frustration, fear and inadequacy. And then it hit me. To incorporate this peace into my daily life, I had to realize that peace isn’t something out there. It’s inside of me and I can access it anytime and anywhere. “Is there an easy way to remind me of this,” I wondered? Then just a few days later in yoga class, our teacher Georgiann, shared a mantra she did with 2-5 year olds in a class over the weekend. She explained this simple “Peace begins with me” mantra meditation, which can be done by young and old alike, anywhere and at anytime. It encourages the sentiment that we each are responsible for and capable of bringing peace with us wherever we go. Once we resolve to discover the peace within ourselves, we can extend that peace to the world around us. I love this. The perfect self care tool. All you need are your fingers and a willingness to be quiet. Here’s what you do. Use the mantra, “Peace, begins, with, me,” while pressing your thumb to your pointer finger, your thumb to your middle finger, your thumb to your ring finger, and finally your thumb to your pinky finger. With every word, you’ll gently place your thumb against the respective finger. Breathe deeply, in and out, as you say each word (silently if you prefer). When you touch your index finger, say: PEACE. When you touch your middle finger, say: BEGINS. When you touch your ring finger, say: WITH. When you touch your pinky finger, say: ME. Repeat this three times (or more if you need it). Go as slowly or as fast as you’d like. Anywhere. Anytime. In the grocery line. While having a difficult conversation. While thinking of a loved one far away. Peace doesn’t come from outside. I can find peace whenever I need it during my hectic days, my complicated relationships, my full life. 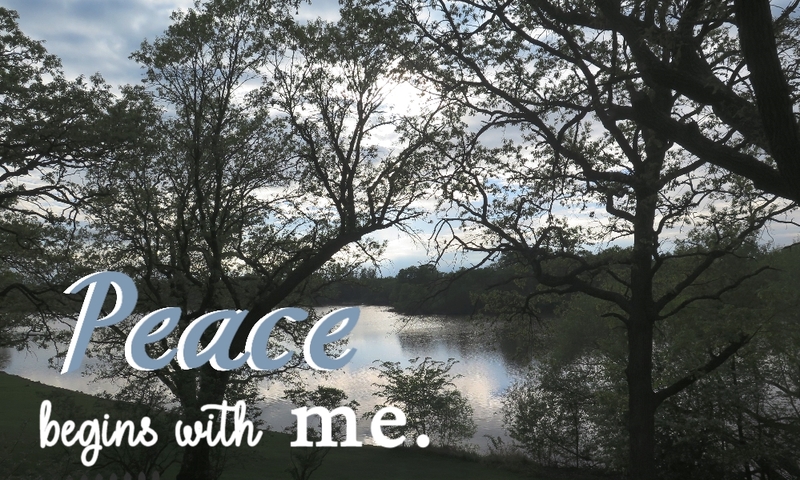 I just have to remember that peace begins with me. I hope you will too. I loved reading your peaceful blog Carole. As you described your three day retreat I was there with you feeling the peace seep into my body. I love feeling peaceful, it makes me happy. I’m going to use your mantra as often as I can, its a wonderful practical tool to keep the peace flowing. Fabulous, Claire. I love this quick and simple self care tool. Glad you did, too. Thanks for stopping by.